With stories of 50 incredible hiking routes in 30 countries, from New Zealand to Peru, plus a further 150 suggestions, Lonely Planet’s Epic Hikes of the World will inspire a lifetime of adventure on foot. From one-day jaunts and urban trails to month-long thru-hikes, cultural rambles and mountain expeditions, each journey shares one defining feature: being truly epic. In this follow-up to Epic Bike Rides and Epic Drives, we share our adventures on the world’s best treks and trails. 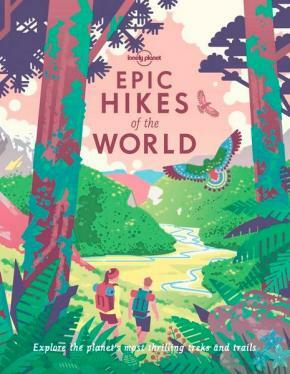 Epic Hikes is organised by continent, with each route brought to life by a first-person account, beautiful photographs and charming illustrated maps. Additionally, each hike includes trip planning advice on how to get there, where to stay, what to pack and where to eat, as well as recommendations for three similar hikes in other regions of the world.